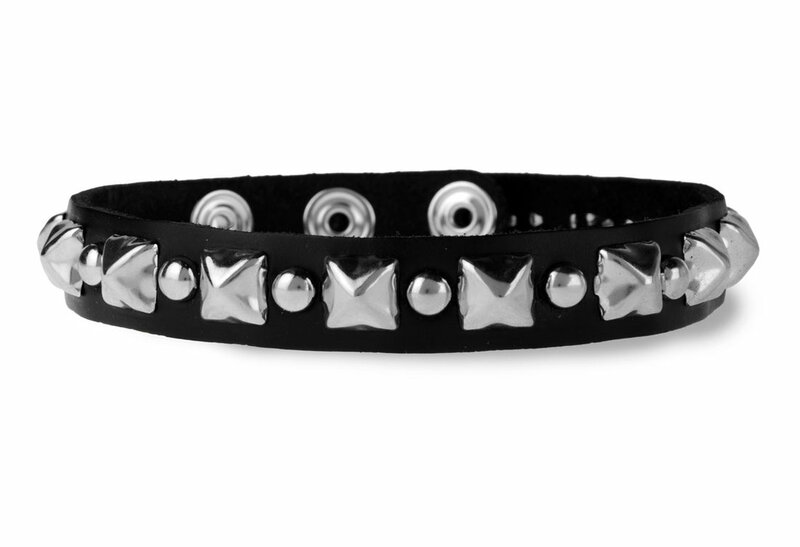 The Alternating pyramid spot black leather choker is made of 100% real leather right here in the USA. It has a snap back enclosure with 3 snap adjustments in one inch increments. 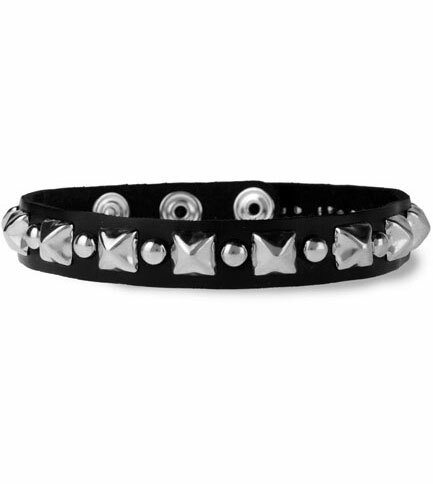 This choker is 3/4 inch wide and comes in two different lengths.